It’s not nice being sick and stuck at the hospital. It’s even worse for children, as they not only get stuck at the hospital, they also go through a lot of pain. Over the years, celebrities have understood the kind of power they have that includes making people happy when they see them, especially if some of these people are their fans. This is why there have been a growing number of reports that include the number of visits celebrities have made to children’s hospitals. Though some stars don’t speak about it, the kids or their parents will always have something nice to say about these surprise visits. Here are the 10 Hollywood stars, who care enough about sick children that they take time off their busy schedule to surprise them at the hospital. Jennifer Lawrence has enjoyed visiting sick children in hospitals for a long time now. The actress brings gifts and donations when she makes her visits to the children’s hospital, which is usually around Christmas. Beyonce is a star, who travels a lot by touring and promoting her music around the world. 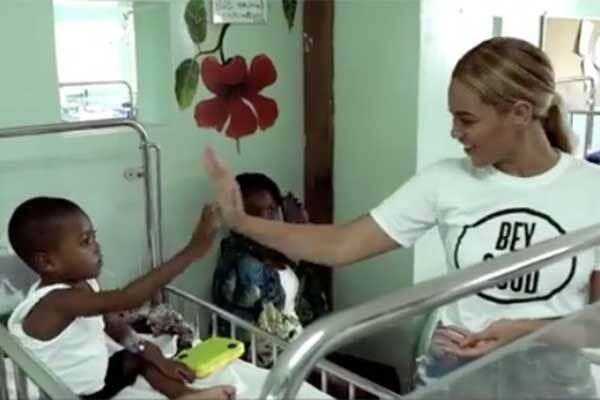 Every time, she travels to a city, Beyonce tries to make a surprise visit to any children’s hospitals. She sings with her team for the children as well as make a donation to enhance the hospitals’ services to the patients. Chris Pratt had his own share of worries when his son was born premature and had some complications. Things changed for him after that and Chris wants to make sick children happy by visiting them often at the hospitals. He always brings gifts and chat with the kids to make them feel better. Angelina Jolie is a celebrity, who’s known for all the charity that she does. When it comes to visiting sick children, nothing lesser can be said about how great she is and how much she adores them. Angelina has taken this one step further, as she has visited more children’s hospitals in other countries than most celebrities. Johnny Depp has said that he has been visiting sick children for a long time now. But since he has had his own experience when his daughter felt sick, Johnny felt the need of making his visits to the children’s hospitals more often. Johnny makes his visits extra special as he always dresses up as a character from his films. Taylor Swift is known to have a soft spot for children. 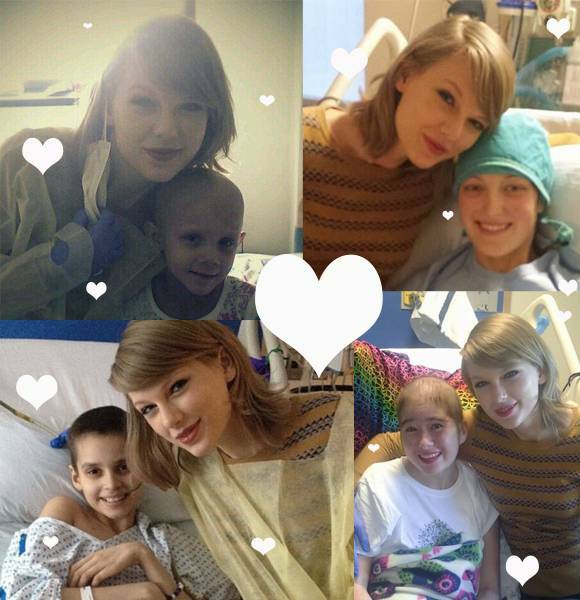 From hanging out with sick children to performing for them, Taylor has been known to hang out at children’s hospital to make her little fans happy. She does graciously donate as well. 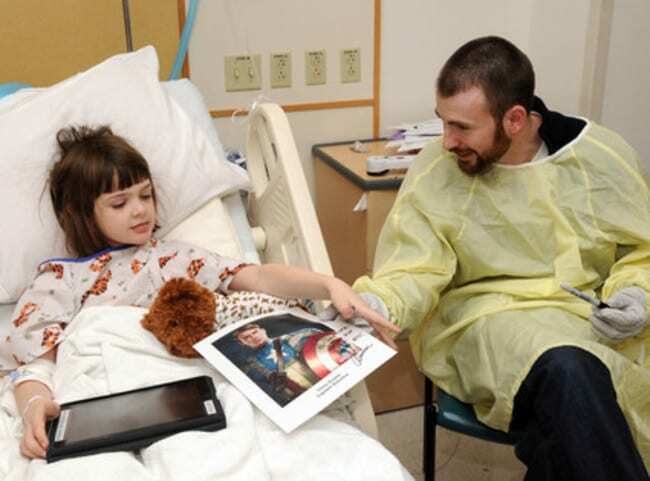 Chris Evans enjoy spending time at children’s hospitals to make sick children feel better. 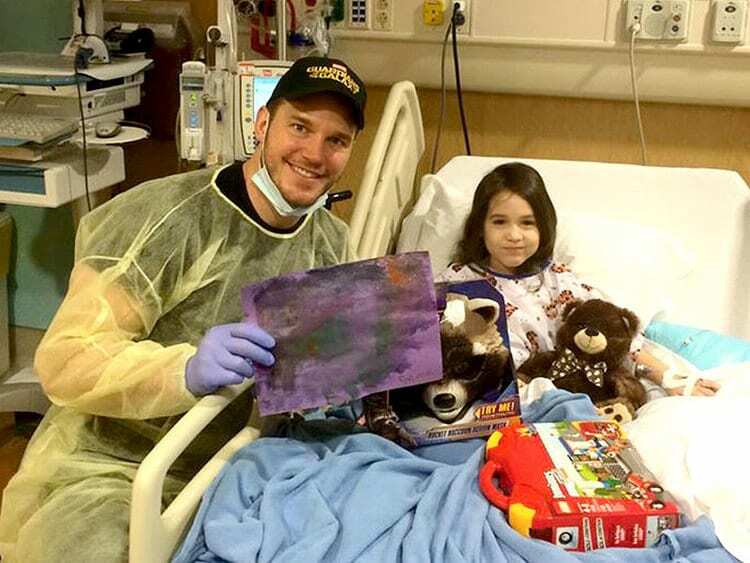 Every time, he gets to know that a sick child is his fan or Captain America’s fan, Chris doesn’t hesitate to take time off his busy schedule to visit the fans. He even brings memorabilia from the Captain America franchise. 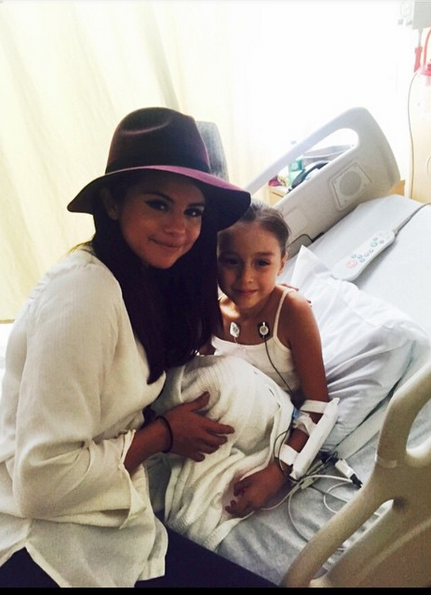 Selena Gomez rarely talks about her visits to the children’s hospital, but it is always shared by the patients’ families and the hospitals. She has been visiting sick children for a while now and she even shared a bracelet that she was given at the hospital in honour of one of its patients. 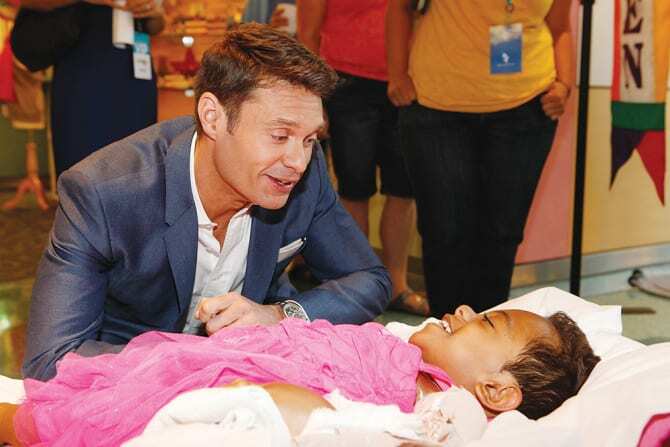 The host of many famous TV shows, including American Idol, Ryan Seacrest has always had so much love for children. When it comes to sick children in children’s hospitals, Ryan did his part to make their time inside the hospital pleasant. He set up an in-house multimedia broadcast centre, known as Seacrest Studio, which allows patients to explore their creative side. Sometimes, Ryan invites his celebrity guests come over and make the sick children feel special. 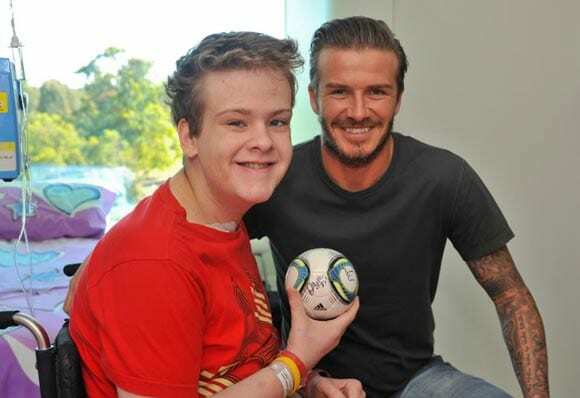 David Beckham has visited countless of children’s hospitals around the world. The father of four always makes it a point to visit any children’s hospital in the town that he’s visiting. He is seen here below with a sick child in a children’s hospital in Australia.